This is the Student Study Guide to accompany Professional Baking, 7th Edition. 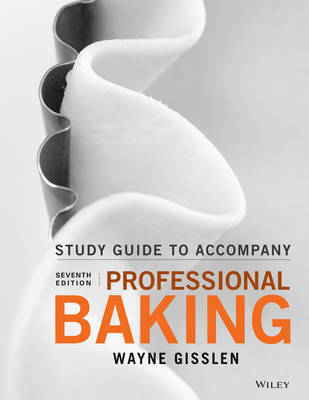 Gisslen's 7th edition of Professional Baking continues to educate hundreds of thousands of students with clear, detailed instructions in the theory and techniques necessary to meet the demands of the professional kitchen. The title continues to comprehensively cover baking basics while also offering enhanced coverage of higher-level techniques such as pastry, chocolate, and sugar work. Balancing theory and practice, Professional Baking provides both the understanding and performance abilities needed to progress and develop in a successful baking career. Also included with Professional Baking are six glossy method cards that provide step-by-step photos and instructions on mixing and pie methods and pastry basics.